Listen to the thundering herd of Buffalo disappearing. The ground shook as they vanished into the sunset. With them they took the way of life from American Indians of the Northern Plains tribe’s. In the late 1800s the white hunters almost exterminated the Buffalo. Their tongue was a prized delicacy but the rest of the carcass was left to rot in the hot prairie sun. This impacted the tribes in a very negative way. Lost was there main food source. 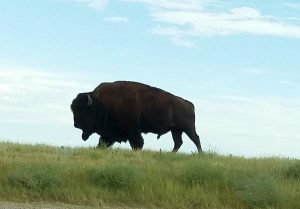 First Nations utilized every part of the great Tatanka for food, clothing, shelter, and blankets were all products from Tatanka. 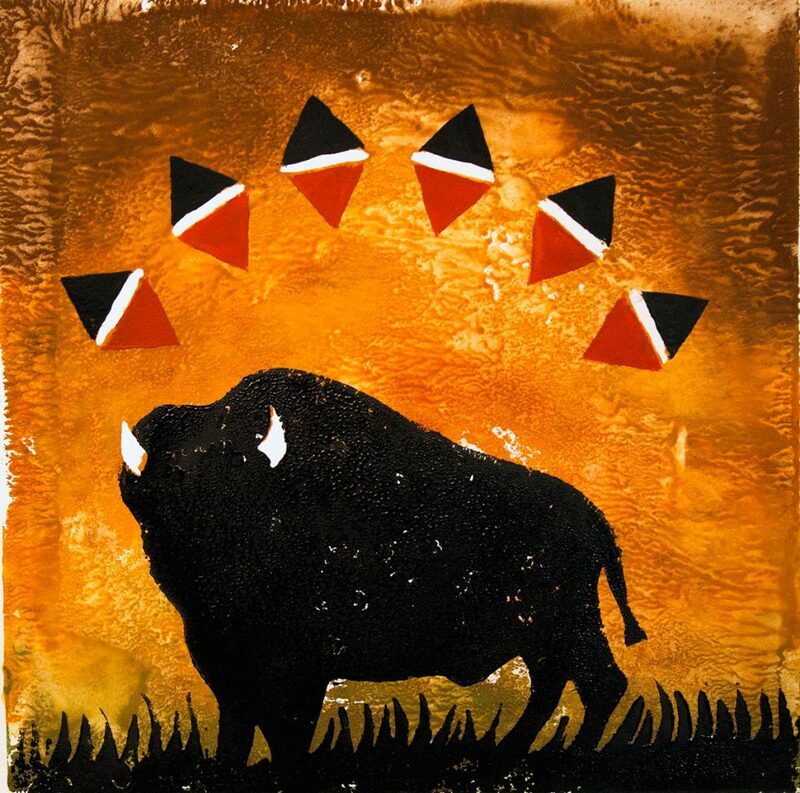 Traditionally the Buffalo hides were used for creating a winter count. In the tribe an important person was chosen to document a pivotal event on the Winter Count. 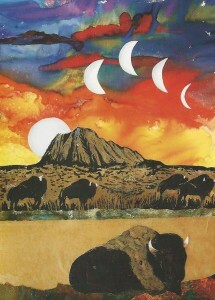 This was done by painting on a Buffalo hide. You might say the original picture calendar. It was a way to keep track of the years “or winters” that had passed. Generally a notable event was pictured. Such as a battle, fire, seven council meeting. A ball of stars was believed to be Hailey’s comet passing by. As times changed, individuals on longer had access to the hides. The Oyate (people) made do with what was available. Old ledgers that were written on and destined to be thrown away replaced the Buffalo hides. Children in forced boarding schools and prisoners would draw their life experiences on the ledger paper using colored pencils. 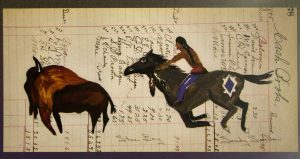 Ledger paintings became the way to document the important events in their life. Generally Native Americans would past their history by oral stories. Perhaps around the campfire, grandpa telling the young ones of his hunting. So it went from generation to generation. Each person has a story to tell. I would encourage you to do that now. Before the stories vanish like the Buffalo.